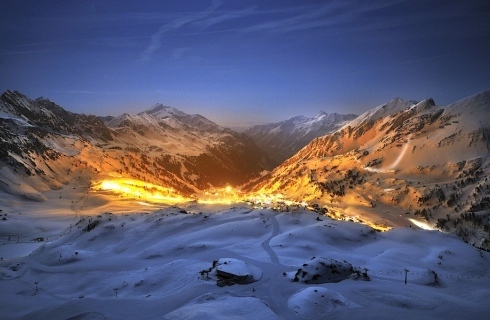 Visit Obertauern for lively apres-ski, challenging skiing and unforgettable holidays with your friends and family. The ski resort of Obertauern is the highest ski area in all of SalzburgerLand which promises the most reliable snows anywhere in the Alps. Perfect conditions from the end of November until the beginning of May! Obertauern offers you the most modern hotel and apartment comforts, top wellness and fitness opportunities, diverse shopping options, all kinds of après-ski watering holes, an exciting nightlife, numerous extraordinary special events and, last but not least, a marvelously carefree holiday atmosphere. Obertauern also boasts one of the most attractive skiing circuits in all of the Alpine world, leading you from one magical ski run to the next. 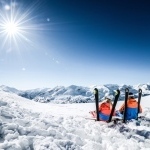 The “Super Seven” ski bowl takes ambitious skiers up the 7 highest peaks in Obertauern. Every ski slope here is within walking distance. A holiday without ever having to resort to your car or public transportation is always a special treat!